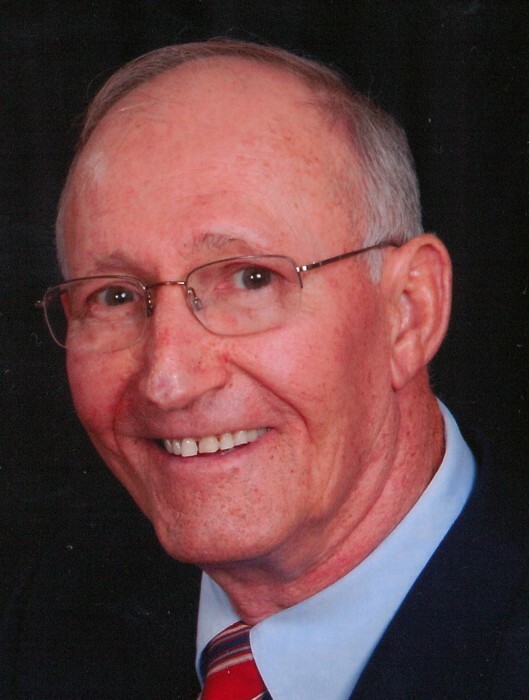 Horace Carr Moncrief, Jr. passed away Sunday, January 27, 2019, at the age of 77. He was born in Gallatin, TN, son of the late Horace Carr Moncrief, Sr. and Elaine England Moncrief. At the age of 11, the family moved to Columbia, TN. He attended Columbia High School, studied engineering at the University of Tennessee at Nashville, and served in the United States Navy. He began his 37 year career with Union Carbide Carbon Products Division in Columbia, which lead to various technical positions in Yabacao, Puerto; Calais, France; Pamplona, Spain (where he ran with the bulls); Clarksville, TN; Geneva, Switzerland; Cleveland, OH; and again in Clarksville, where he called home for more than 20 years. He is survived by his wife of 53 years, Vicki Ford Moncrief; daughters, Minta (Jim) Getzen of Sarasota, FL and Melissa (Ken) Cobbler of Roanoke, VA; grandchildren, Madeline Cobbler, Mason Cobbler, Wyatt Getzen, and Will Getzen; sisters, Kathy (Dale) White and Marilynn (Randy) Lawrence; brothers, Steve (Sue) Moncrief and Richard (Carol) Moncrief; and many nieces and nephews. Horace was a member of Madison Street United Methodist Church. He loved the game of golf and enjoyed volunteering with the young golfers in Clarksville. He served as the JV Golf Coach at Clarksville High School and as a board member of both the Clarksville Junior Golf Tour and the Craig Rudolph Memorial Golf Tournament. Friends and his UCAR family will serve as honorary pallbearers. A Celebration of Life Service will be held Saturday, February 2, at 11:00 AM, at the Chapel of Neal-Tarpley-Parchman Funeral Home. Visitation will be Friday, February 1, from 4:00 to 7:00 PM, and Saturday, February 2, from 10:00 AM until the hour of service, at the funeral home. A private interment will be held at Crestview Memorial Gardens in Gallatin, TN. In lieu of flowers, donations may be made in Horace's honor, to the Clarksville Junior Golf Tour, 121 Crofton Place, Clarksville, TN 37043.